Innovation is anything but business as usual. From driving an ordinary fuel guzzling car to a fuel efficient hybrid sedan, we have come a long way in our quest to achieve something better. In this never ending search for perfection, how can the oil and gas industry remain far behind? In the last few years, there have been some remarkable technological innovations that have the capability of changing the global oil and gas scenario. Some of these innovations, if implemented successfully, even have the capability of altering the current global geopolitical landscape. So, what are these innovations? 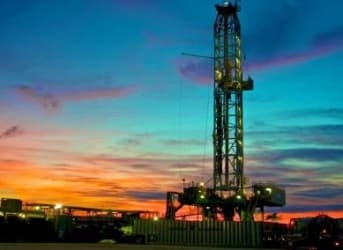 Shockwave assisted fracking technology could be a game changer for the oil and gas industry as it eliminates the use of water completely. The shale revolution in United States is a result of hydraulic fracturing which requires huge quantities of water (around 3-4 million gallons per well) and results in high levels of ground water pollution. Out of the total oil that is present in an oil reservoir, around 40% can be only extracted by the conventional primary and secondary oil recovery techniques through pumps and water/ gas injection method. Enhanced Oil Recovery technology (EOR) or tertiary recovery is designed to extract the remaining immovable oil from the reservoir. At present, the gas injection EOR technique has gained popularity in the US which uses CO2 to reduce the viscosity of oil and improve its flow rate. In fact, the next generation CO2 EOR has a potential to produce 60 billion barrels of oil in the US alone. Can something as small as bacteria fight something as big as an oil spill? 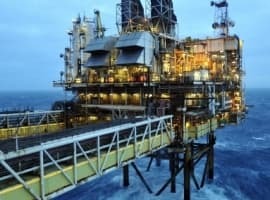 As strange as it may sound, this might happen in future as a team of international scientists have identified two types of bacteria that can prevent major oil spills. These oil degrading bacteria form a bloom when in contact with oil and thus prevent oil spillage. Scientists are now trying to gain more insights on bacteria Oleispira antartica to see if it can adapt to low temperatures. (Source: Helmholtz Centre for Environmental Research – UFZ) This can help in creating an effective risk mitigation strategy of oil spills in deep sea or Polar Regions. Biofuels are the modern energy sources that are made from living things such as animals and plants. Rattled by the volatility in the international oil prices, several countries, including the US and China, are increasing their investments in this form of renewable energy. Ethanol and biodiesel are some of the most widely used biofuels. 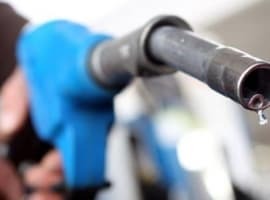 However, according to data from International Energy Agency, biofuels like ethanol and biodiesel can only compete with conventional oil if the oil price is in the range of 70$ per barrel. With the current low oil prices, it becomes a challenge to justify the high production and R&D costs associated with biofuels. Related: Is Warren Buffett Wrong About Oil Stocks? In an exciting development, researchers at Cockrell School of Engineering (University of Texas at Austin) have created a new yeast strain that could allow a more efficient biofuel production process, thereby making biofuels cheaper and more competitive with conventional oil and gas. 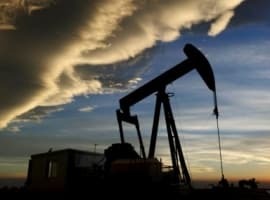 The world is currently standing at a very crucial juncture where no one knows for sure as to where oil prices will head. Events such as wars, natural disasters and market speculation can never be predicted with any great degree of accuracy by anyone. Therefore, it would be prudent and practical for the world to understand the need for these innovations. All these innovations are battling with challenges such as high R&D costs, low oil prices and high production costs, but the need for energy security outweighs all of them. In the end, one needs to remember: “The best way to predict the future is to invent it”. Three of the four listed are fossil fuel based. If these really are the "Top 4 Energy Innovations" we are in trouble folks. Maybe change title to "Top 4 Backward Looking Energy Innovations"
'Innovation' means ,a process of improving/ transformation or creating more value in existing methods. These are the processes/ techniques that can actually improve the existing methods of fossil fuel generation. I do not consider to be 'backward'. We need to accept the fact that oil is here to stay here for a foreseeable future. So why not improve the process! Moreover, techniques such as 'shockwaves' can actually help reduce pollution. "The shale revolution in United States is a result of hydraulic fracturing which ... results in high levels of ground water pollution." This almost looked like a throwaway statement, and should be, seeing as it is based more on rumor than evidence. There are instances of groundwater pollution, but they are limited, and result not from proper procedures but unprofessional practices. The true problem, in addition, is not fracing itself, but the flowback water that results; the ultimate solution is to move towards onsite reprocessing and reuse, as is already happening in many fields with limited availability of freshwater.